The almost 4m x 8m room which was I wanted to transform into an elegant kitchen diner in under two weeks was a bit of challenge. Whilst the boys busied themselves getting prepped and getting all the tools in, I sat in the middle of the room and pondered. We didn’t have a massive budget nor time to substantially change walls, windows or doors so I had to work with what we had. Zone 1 was to be the main part of the kitchen, where the large Quadrio Hotpoint fridge freezer would go and where the wet area would be. This area would be tiled with marble. 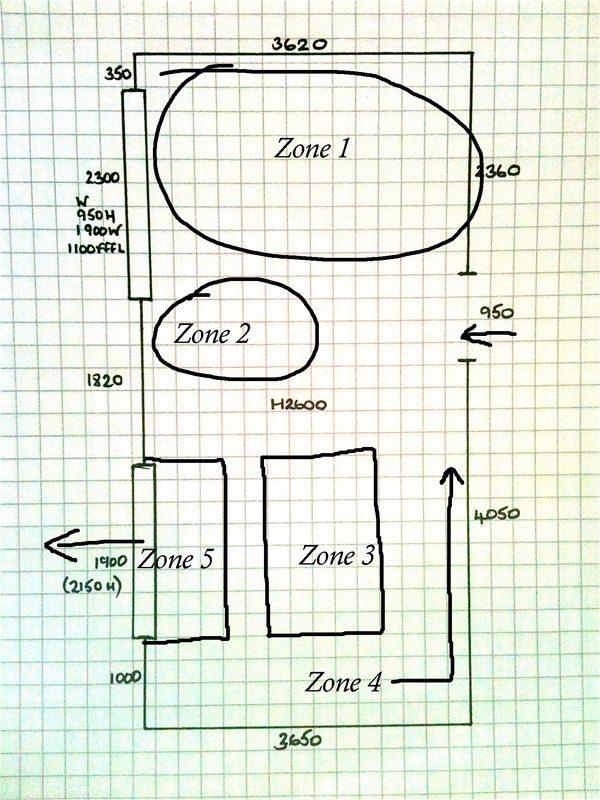 Zone 2 would be a small area where an island would encompass the range cooker, allowing chef interaction. I wanted to lower the ceiling specifically over this area, with spotlights and the cooker hood. Zone 3 was the dining table area. I wanted this whole area floored using a country oak flooring and have a dining room light directly over it. It was also to be surrounded by …. Zone 4, where the depth of the room would be teased with the addition of three built in bookcase / cabinets and wall lighting. And finally, Zone 5, where I wanted to change the flooring from timber back to marble tile as a practical reflection of dirty feet coming in from the garden! Not much do do then eh?! 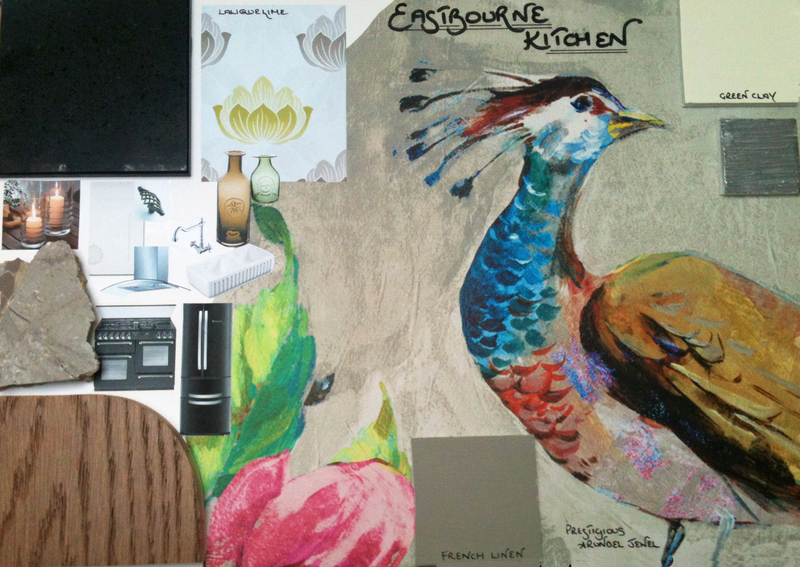 Half Built House Eastbourne – The amazing peacock wallpaper! The floor doesn’t work in my opinion. I like zoning but breaking up the floor like this is a shame as it looks like the walls have been taken down but not enough money to make it into one large room. Pingback: Trend Spot: Zoning Bathroom Flooring For a Cool 2015 Look | MOREGEOUS... more than gorgeous!